As a whisky writer I’m always asked what my favourite drams are, and the answer is always met with a shrug of the shoulders. What may be my chosen whisky today will likely change by tomorrow depending on my mood, where I am and who I’m with. Our preferences change according to our surroundings, so my top three whiskies of 2015 are somewhat guided by the setting I found myself in when first sampling them. However, the following whiskies – having been re-tasted – continue to stand out for me, not simply on flavour and quality alone, but also for what they represent. Loch Lomond’s Inchmurrin 12 Year Old for instance is what I’m terming a ‘Chosen One’ for two reasons – it has a remarkably rounded and full-frontal flavour and complexity for its age, and stands as a reminder that the smaller, independent distilleries are also producing world-class whiskies worthy of column inches. Douglas Laing’s Old Particular bottling of a North British 21 Year Old – its first move into promoting grain whisky alongside single malt – stood out for me after a secret grain tasting Scotchwhisky.com held for visitors to The Whisky Exchange Whisky Show in London in October. Bursting with flavour and depth, it demonstrates the quality that is to be found in grain whisky if given the chance. 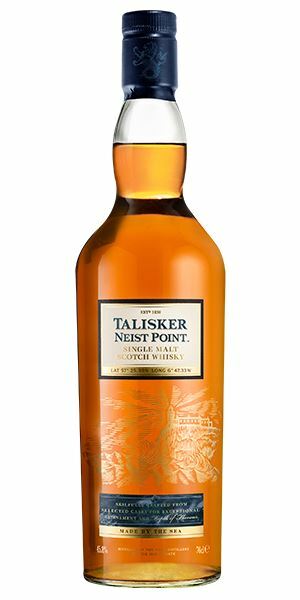 Finally, Talisker Neist Point is here on the basis this dram shows a softer, more accessible side to the Skye distillery’s products. For me, it’s the most fulfilling NAS expression to come from Talisker. Confectioner’s (icing) sugar confronts the nose, giving way to a tempting starter of creamy toffees and Turkish delight. Lingering promisingly in the background is a second course of Grandma’s stewed apples and sultanas. That rich, cooked orchard fruit enfolds the palate with plenty of black pepper and cedarwood spice. Water brings out a honeyed note and more cooked pears. Spicy, but pleasant and generous for a 12-year-old. A punchy young thing bound to become a favourite in whisky circles. Who can take the sunrise; sprinkle it with dew? Why, the Candy Man of course (as in Aubrey Woods, not Tony Todd). Slightly hot smell of alcohol with a floral soft vanilla hint. Thick, creamy vanilla ice cream with hot caramel sauce. The high abv doesn’t offend, although the addition of water releases fruitier notes of dried papaya and pineapple, honey and some lemon zest toward the end. A slightly dry and hot finish although that rush of vanilla ice cream follows right the way through with a sprinkling of dried tropical fruit and a waft of jasmine. A clear demonstration of how satisfying a good single grain whisky can be. Tropical muesli meets Mr. Whippy in a summer meadow. The remains of last night’s beach bonfire washed away in the salty sea air. Fresh crème anglais brings up the rear. Soft and fruity with a touch of pear drops before becoming smoky and ever so slightly floral. This really opens up with water, which reveals cooked fruit in the guise of a baked apple crumble with a heavily caramelised topping and a side helping of that wonderful salted vanilla custard. Elegant smoke now, with a lingering salty dryness from the wood. A softer side of Talisker demonstrating balance and complexity but retaining the distillery’s signature maritime character. Wrapped in a thick blanket eating pudding by the bonfire on the beach. 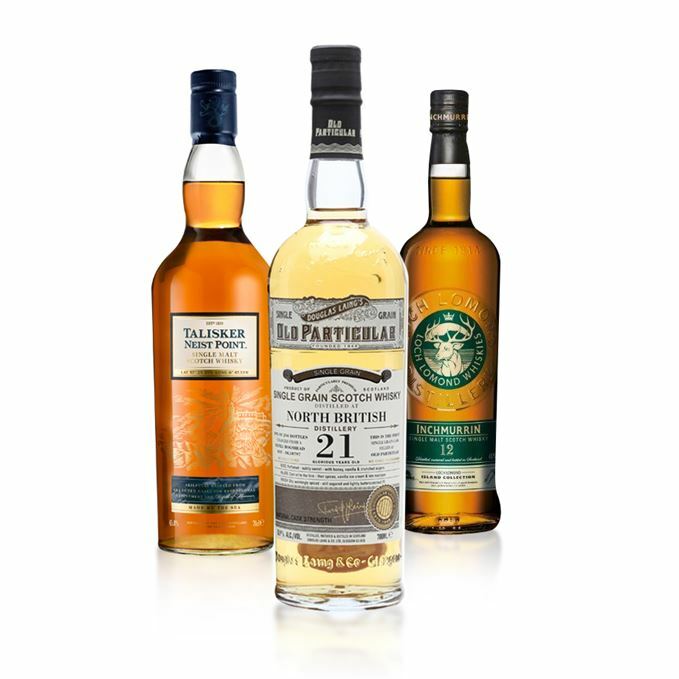 Whiskies of the year: Dave's picks 31/12/2015 Dave Broom looks back on 2015 with whisky-tinted glasses and selects his three stand-out drams. Whiskies of the Year: Richard's picks 29/12/2015 Our magazine editor chooses his whisky highlights from 2015, including two bargain Speyside malts.